Keith Alverson, 31, of Chester, will serve one-year term. Keith Alverson, a sixth-generation farmer from Chester, has been elected to serve on the National Corn Growers Association Corn Board. 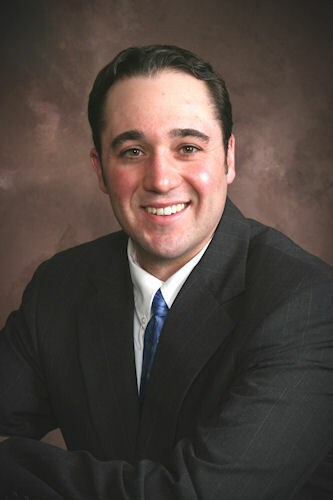 Alverson, 31, is secretary/treasurer of the South Dakota Corn Growers Association board of directors and previously served three years on the South Dakota Corn Utilization Council board, including two years as vice president. "Keith has shown exceptional leadership abilities and has demonstrated a long-sighted vision for the industry," says Lisa Richardson, executive director of the SDCGA and SDCUC. "He's extremely intelligent and has a vast knowledge of technology. He will be a valuable resource to other board members. Keith has a strong work ethic, is well-respected and has excellent leadership instincts. He is remarkably dedicated to the betterment of the ag industry." Alverson, who has an agronomy degree from South Dakota State University, has been an active volunteer with the NCGA. He is a 2009 graduate of the association's leadership academy and is chairman of the NCGA Ethanol Committee. He and his wife, Kari, farm with his parents, aunt and uncle. Alverson will serve a one-year term on the national board. He was one of five people elected to the board by delegates attending this week's NCGA Corn Congress. The Corn Board shapes the policies that guide the organization and best serve corn farmers across the United States. Board members represent the federation of state organizations, supervise the affairs and activities of NCGA in partnership with the chief executive officer and implement NCGA policy established by the Corn Congress. Members also act as spokesmen for the NCGA and enhance the organization's public standing on all organizational and policy issues. "With today's election at our Corn Congress, we are going into 2012 with a very solid leadership team," says NCGA President Bart Schott of North Dakota, who becomes chairman in October when Illinois grower Garry Niemeyer becomes president. "I am proud of the high level of commitment shown by our grower leaders who bring a great amount of diverse experience and expertise to our national organization." Also at the meeting, corn-state delegates unanimously ratified Pam Johnson of Iowa to serve as the next first vice president for the organization, on track to become president in October 2012. They also began to update the NCGA policy book, and received updates from the various volunteer action teams, as well as a briefing on NASCAR's American Ethanol program from a driver's perspective, provided by Nationwide Series veteran driver Kenny Wallace.